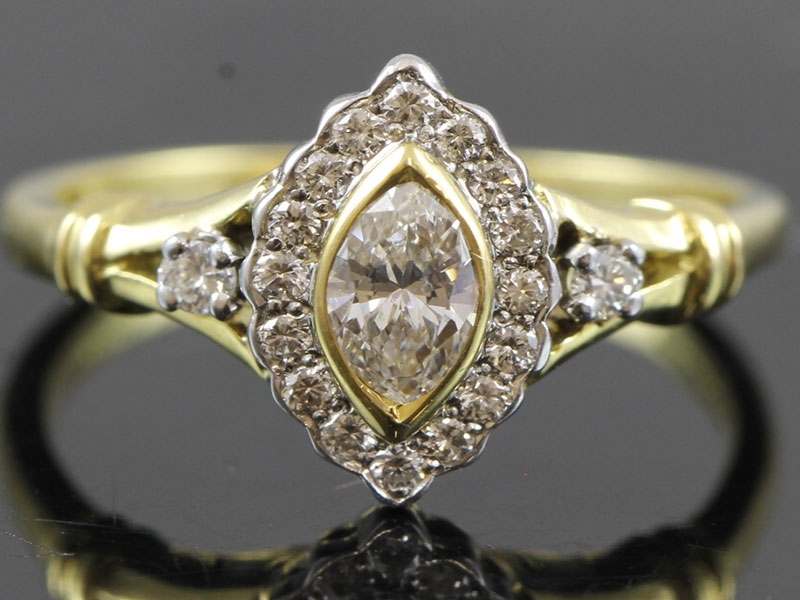 Boosting a sparkling marquise cut Diamond beautifully held in an 18 carat yellow Gold rub over setting surrounded by a halo of sixteen matching round brilliant cut accent stones with a further two Diamonds set either side in a split shank for that added extra sparkle! 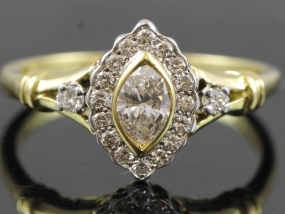 The Marquise Diamond weighs 0.70 carats. 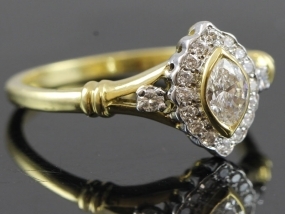 This stunning Diamond ring gives you the maximum sparkle and shine and has been finely handcrafted in 18 carat yellow Gold. 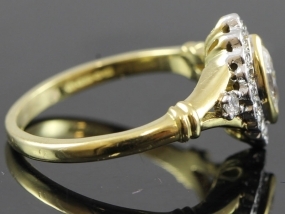 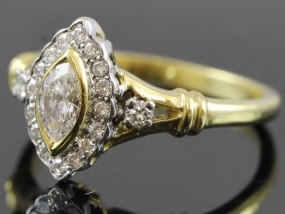 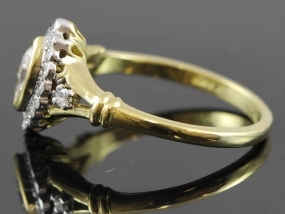 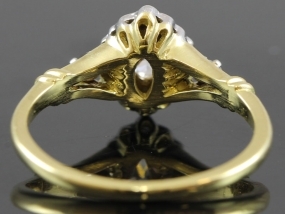 This elegant ring is definitely a beauty to yearn for.